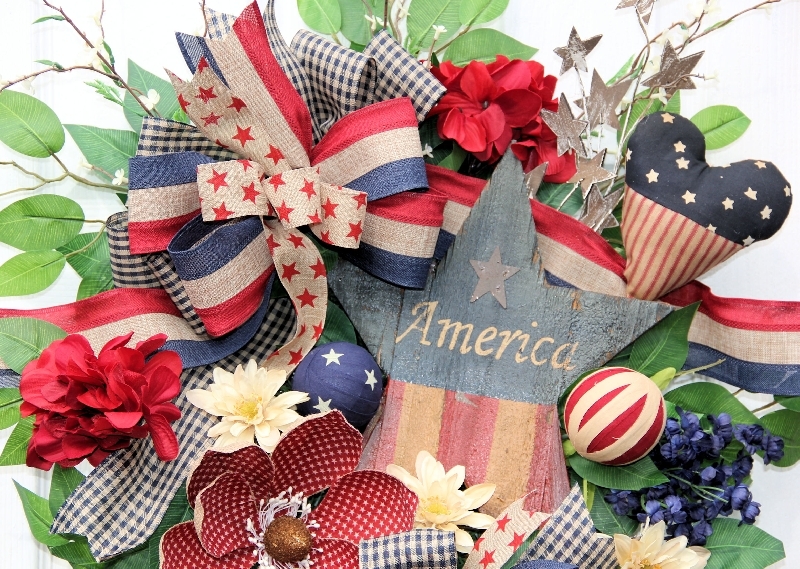 Show your pride in the USA from Memorial Day through Labor Day with this deluxe Country/Prim Americana Swag!! 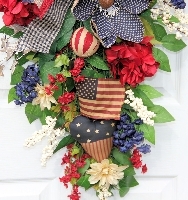 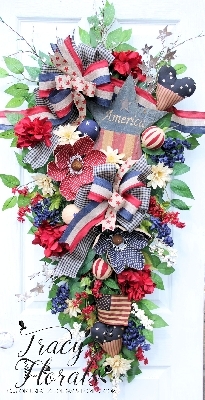 This XL swag is overflowing with burlap, red, and blue stripe ribbons, star ribbon, navy blue gingham ribbons, burlap star magnolia, aged wood flag star, patriotic ragballs, fabric patriotic hearts, blue berries, cream berries, red hydrangea, star picks, and more all situated on an evergreen base. 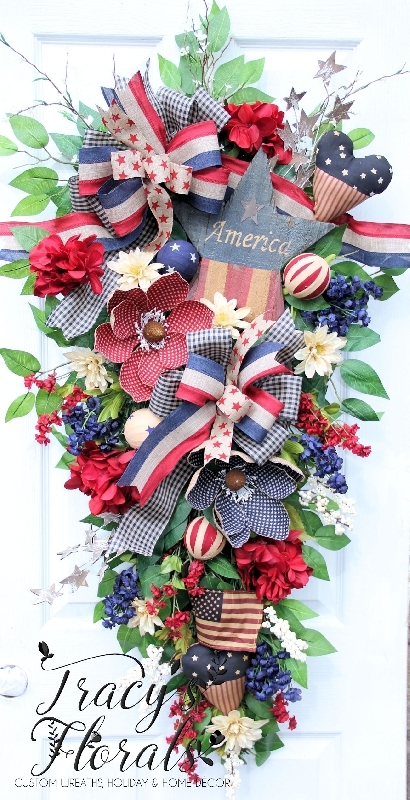 Measures a full 43" tall, 22" wide, 7" in depth.